“Lights. Camera. Action!” Contra Costa voters can now see and hear where local candidates stand on important issues through televised roundtable discussions and forums. Local “Election Preview” offers Contra Costa voters a chance to be educated on candidates and issues before casting their ballots. Contra Costa County Elections Division partners with the County’s Contra Costa Television (CCTV), the League of Women Voters of Diablo Valley, the League of Women Voters of West Contra Costa and the Contra Costa County Library to provide candidate forum programming for Fall Elections 2018. “Election Preview” shows begin airing this week on TV and online. This year’s production featured well-known journalists as moderators, including KCBS radio reporters Bob Butler and Doug Sovern, ABC7 News reporter Laura Anthony, KTVU reporters Alex Savidge and Claudine Wong, and former ABC7 News reporter Alan Wang who is a public information officer for Contra Costa County’s Employment and Human Services Department. A total of 39 local races and ballot measures will be available for viewing on Contra Costa Television broadcast channels leading up to Election Day. 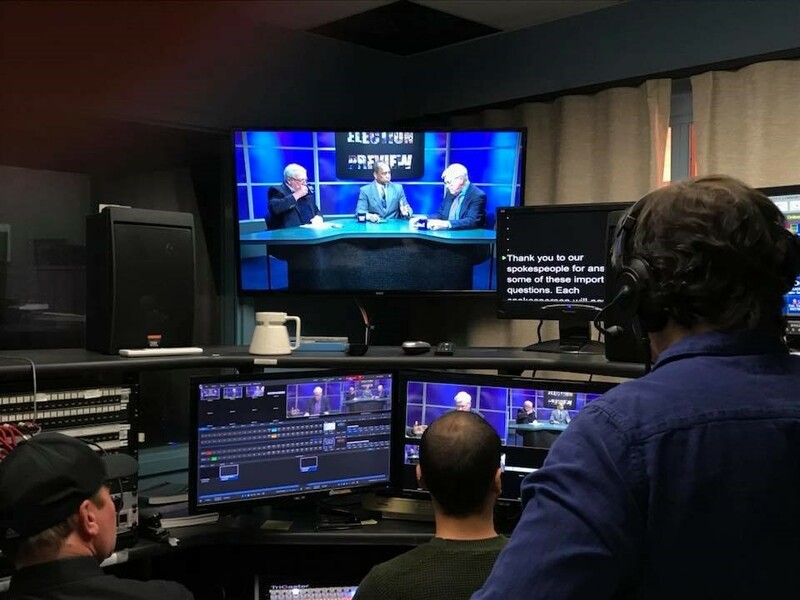 “Election Preview” roundtables and forums can be seen 24/7 on the Contra Costa Television channel on YouTube: https://www.youtube.com/channel/UCD1z6XC8_fqZXP3HayI-kQA. More information about “Election Preview” in Contra Costa County is available on the Elections Division website at www.cocovote.us and the County’s website at www.contracosta.ca.gov.